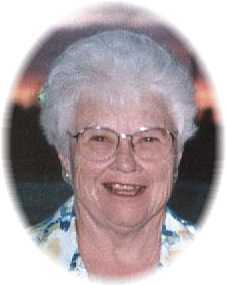 Isabel “Tootie” Zook, age 81, of Miles City. Isabel “Tootie” Flora Cameron Zook, age 81, of Miles City died on Monday, January 21, 2019. Tootie was born in Miles City, MT on December 23, 1937 to John and Jessie Cameron. Her parents were Scottish immigrants and it was tradition to name the first daughter after her maternal grandmother. Consequently, Mom had several cousins named either Isabel or Ishbel. Uncle Donald called her “Tootie” and the nickname stuck. Tootie was raised with her three older brothers; Don, Chris, and Kenny. They attended country schools in the Mizpah area, riding horseback or walking to school. She loved caring for the sheep and enjoyed walking all her life. Tootie spent a lot of time with her father working sheep and to her brothers’ glee took over the “hospital bunch.” During lambing Tootie helped her mother cook for 10-12 men in a sheep wagon. She learned to play cards at a young age. Grandma would have Mom play cards with the older Scottish bachelors who were visiting while she got dinner ready. Tootie learned hospitality from her mother, who after she and the kids moved to Miles City for the siblings to attend high school, would leave food at the back of the house for the hoboes. They lived near the train tracks. In 1947, Tootie went with her mother to Scotland for the summer. Tootie went on more trips to Scotland later in life with her daughters. All were very memorable times. Tootie took Scottish dance lessons which inspired her five daughters and granddaughter, Sage, to proudly continue the dancing tradition. Scottish heritage was especially important to Tootie and she coauthored the book Tartan Tales with Jack McRae. Tootie went to high school in Miles City. She played flute in the band and later on for the University of Montana marching band. Tootie went to work for Berl Stallard as a bookkeeper. When Tootie was 20 she eloped with the love of her life, Tom Zook, on April 15, 1958, after the office closed for the day. Tootie was a very, very, fun mother to seven fortunate children. She cooked thousands of delicious meals for her family, hosted many holiday dinners, invited numerous neighbors, and friends of her children to eat and visit, organized family reunions, oversaw the 4-H Food Booth, and participated wholeheartedly in the Cattlewomen, Republican Women, Council of Catholic Women, 4-H Council, and Coalwood Bible Study. She gave tours of the State Capitol while Tom served in the Legislature, chaired Legislative fund raisers and also served as clerk of the Ash Creek and S-Y Schools for nearly 40 years. Tootie was a worker bee. When she had free time, she spent it cultivating a beautiful yard and garden. Tootie was a person who truly had a gift for bringing joy to others. Tootie was full of personality, had a laugh that could be heard far and wide. She would be laughing until it hurt and so was everyone else. Mom loved babies and little kids so much and being a grandmother brought her a lot of happiness. She wore a vest embroidered with the schools or colleges her grandkids were attending and proudly cheered at school sporting events. She loved all her children’s spouses and so enjoyed her continually growing family. She cared deeply for all of them. Tootie was afflicted with a many-years long, heart wrenching, debilitating illness called corticobasal degeneration. She showed us immense strength and grace. With loving caregivers and family, we were able to get Mom across the finish line. We are sure Dad hasn’t gotten a word in edgewise since she found him waiting in heaven and got her voice back. Survivors include her brothers Don (Cathy) Cameron, Chris (Delores) Cameron, Kenny (Ginger) Cameron, children, Janet (Dave) Hauptman, Fritz Zook, Laura (Dan) Boyce, Jeannie (George) Etchemendy, Audrey (Scott) Lackman, Thelma (Michael) Green, and Andy (Theresa) Zook, and her grandchildren, Blake (Kaci) Ben, and Ross Hauptman, Casey Boyce, Jessie (Damon) Heble, and Clay Boyce, Elisa (Erik) Olson, Pierre (Stacey) Etchemendy, Ty (Dani) Etchemendy, Todd and Joe Lackman, Kendall and T..J. Green, Sage and Ian Zook, as well as great-grandchildren, Oliver and Lewis Olson, Lawrence and Max Etchemendy, Charleslee Etchemendy, and Ridge Heble, brother-in-law Bill (Nonie) Zook and many special nieces and nephews. Tootie was preceded in death by her parents, husband Tom, and grandson Zane Hauptman. Family will receive friends on Friday, January 25, 2019 from 5:00-7:00 p.m. at the Riley Center, 120 N. Montana followed by a Rosary/Vigil at 7:00 p.m. at the Sacred Heart Catholic Church. Mass of Christian Burial will be held on Saturday, January 26, 2019 at 11:00 a.m. at the Sacred Heart Catholic Church. Rite of Committal will follow in the family lot of the Custer County Cemetery. Condolences may be sent to the family by visiting: www.stevensonandsons.com. Memorials in Tootie’s honor may be made to the Miles City Caledonian Scholarship, P.O. Box 1403, Miles City, MT 59301, Sacred Heart Elementary School, 519 N. Center Ave., Miles City, MT 59301, or the Custer County 4-H Council 1010 Main Street, Miles City, MT 59301. To Thelma and the rest of Tommy and Tootie’s family: my condolences on the loss of your mom. She was an amazing and lovely lady whom I’m sure you will miss very much. Having lost both my parents in the last year and a half, the one thing that eased my grief is knowing they are now together, and are whole and well. I hope this gives you peace, as well. I pray that God wraps you in His arms and eases your grief. To the Zook family you are all in our thoughts and prayers, Tootie was such a wonderful woman. Lots of great memories from times long ago. Prayers and Blessings to the family. She was a wonderful lady. Keeping you in our prayers. My deepest sympathies to all of the Zook Clan. I wish you peace and comfort in this trying time. Sorry for your loss. Tootie’s family will miss her very much I’m sure. The family has done a wonderful job caring for her and she knew it. We will miss her very much. I didn’t see her very often but it was comforting knowing she was in the community. Blessing and deepest sympathy to all of “Tooties” family. She was such a beautuful person and very committed to Parish Council of Catholic Women. I fondly remember traveling to many meetings and events with her. She was so much fun. Rest in peace sweet “Tootie ” you will be greatly missed. Tootie and Tom were both so special to me. Family connections for many generations with Scottish settlers and great friends. I honestly have never been blessed to know better people than the Zook’s. It is obvious that Tom and Tootie taught all of their children about love, respect, and humility. Truly the most amazing family I have ever had pleasure to know and love. Zook Family – My thoughts and prayers are with you. To Fritz and the entire Zook family, so sorry for your loss. My thoughts and prayers are with you all. Sort of an end of an era of the Volborg community band and spouses (a family unto itself). She was a very special lady and leaves a legacy of a special family also. Best wishes to all. Sorry for your loss. What a wonderful woman she was. You kids are proof of that! I know you have great memories. You are in my prayers. My blessings and condolences to Tootie’s family. Your Mom and Grandmother was such a special friend of mine. I thank Laura for inviting me to ride with her to Miles City to visit your Mom. Just being there that weekend brought back a lot of memories of our time spent as students at UM. Tootie was a true and caring friend with a beautiful smile and a fun loving personality. You are in my prayers. My sincere condolences go out to all of Tootie’s family. She received so much love and wonderful care from her family and caregivers. May she now rest in eternal peace and happiness. She has left a lifetime of many cherished memories and will be missed by so many! Tootie was one of a kind and always made me smile, her tradition of helping other Republican’s and making the Christmas Tea for the Tea. I will treasure the tradition she started of giving a pin to honor each President of Republican Women from the Museum in Helena. May she rest in Peace with Tom, and may the love of the Lord comfort you all in your loss. Please accept our sincere condolences on the loss of your treasured mother and loved one. Tootsie was a gift and a beloved child of God. Her legacy and the many wonderful memories of her life and all she accomplished will live on through her children, grands, and great grands. May our loving Father envelop each of you in His loving embrace today. What fond memories I have of stopping by Tom and Tootie’s home in the 80’s while I worked in Broadus. They always had time for a visit, and Tootie’s hospitality was top-notch. There was always room at the table for one more–the finest example of Christian love. From your family in Scotland, we send our sincere condolences and warmest thoughts to the whole Zook family at this sad time. Whenever we spent time with Tootie, whether in the United States or in Scotland, she always showed such warmth and humour and we know she will be greatly missed. With all our love and sympathy, from Susan, Terry, Ewan, Catriona, Tommy, Donnie, Chrissie and all your Caledonian relations. So very sorry for your loss. May the peace of our Lord and Savior hold each one of you. Condolences to all of Tooties family. To the Zook Family. Your Mom was an extra ordinary person. She had the gift of doing something for a person that was minor to every one else but was major to the individual or the family. Your Mom shares with the reader of “Tartan Tales” a story of my Dad, “Jimmy Archdale.” If you would like to read the story, it is on page 282. Oh, how my Dad loved the Scotch. You have a great number of stories and events to remember. Enjoy the laughs and wipe away the tears. To the Zook family: I am unable to attend the funeral so wished to extend my sympathies in this way. She was a special, special lady and it’s so sad that she was taken from you an inch at a time. It’s good that she is finally free to go to Tom. Our sincere condolences. So sorry for your families loss! Treasure and hold dear to all of your great memories.